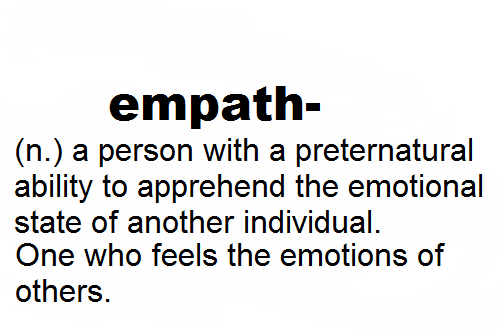 The way someone talks about the fact that they consider themselves to be an empath or highly sensitive person (which from now on I am going to refer to as ‘EHSP’ for convenience), tends to indicate what stage they are at in their journey of personal discovery. I am going to assume that you all know what an EHSP is, what the traits are and what the effects are on you. In this article, I am going to share my thoughts on what stages of personal development can be identified, by reference to my own personal experience. What I hope you will take away from this, is knowledge to empower you. I am not here to tell you what you should do or how you should do it because everyone’s journey is different. However, I have amassed a considerable amount of knowledge of both psychological and spiritual significance, which has enabled me to piece together the puzzle of what was a large part of my own emotional life and which I hope can help others to do the same for themselves. I used to write about the traits of EHSP’s a lot and people always seemed to be hungry for more information. In particular, they wanted to know how to ‘make it stop’, shield themselves or clear their energy. This was around the time when I too was struggling with my sensitive nature. Over time, I moved away from this topic as it seemed to be surrounded with feelings of despair, sadness and even desperation. What I realise now is that I was beginning to transcend the lower stage of being an EHSP and naturally drifted away from sharing information about coping strategies. This topic is one that remains dear to my heart and it has been coming back into my consciousness lately so I thought it was time that I started writing about it again. There is so much I could say and it has been hard to know where to start but in the creative process, when we are scared to start, we poison the river of our creative flow and so start we must to keep the waters clear and sweet. I’m sure there will be many other articles to follow but for now, I want to get you thinking about how your own personal development is inextricably linked to your EHSP abilities. So, what do I think the stages can be summarised as? Taking my own experience as an illustration, I was in this stage up until my mid to late twenties. I was a psychic sponge, absorbing the energy of other people and suffering because of it. I was aware what was happening and I desperately wanted to stop it. It was a burden and I was a victim to it. To help myself, I employed coping strategies such as shielding my energy, cleansing my aura and avoiding busy places and people whose energy I didn’t like (when I could). If you are doing the same, know that this is like building your house of straw. It’s ok while it lasts but you know that your house is going to get blown over at some point and then you will be starting over again. It is a never ending chore and you are always going to be a victim to your circumstances. Surely you want something more sustainable, yes? I was sick of building a straw house all of the time and in my quest for knowledge I began to learn more about being an EHSP as I was sure there must be more to it. I found Rose Rosetree’s book ‘The Empowered Empath’, which I read and on the whole I found to be helpful although I tend to be of the view that it only takes an EHSP through level 2. I added some useful tools from the book to my victim repertoire, such as how to how to use the breath to raise my vibration and ground my energy. However, what was more thought provoking, was the suggestion in the book that I had to like myself better and to become more assertive about what I liked, as well as becoming aware of the different levels of my Self i.e. social, physical, mental, emotional and spiritual. The learning process of this stage, as far as I’m concerned, means learning about what makes you tick as an individual. So many people go through life without ever knowing who or what they are. It is fundamentally important to gain knowledge of Self, in order to become an empowered individual, ESHP or otherwise. Around this time, I began to train to become a counsellor; I had previously studied psychology and really enjoyed discovering more about how our thoughts and feelings affect behaviour, as well as how our life experiences shape our personalities. It is evident to me that society does not place enough value on psychological education; it is up to us to seek the knowledge out ourselves. When we learn, we can use the sticks of knowledge to build ourselves a sturdier house. A stick house will not last a lifetime but it is much better than a straw house. With the determination to learn who you truly are, you will at some point and with courage, come face to face with your shadow. What do I mean by shadow? These are the parts of your Self that you’d rather not see. The negative parts of you that you push away and hide deep down inside of you, yet these parts still continue to influence your thoughts, feelings and behaviour. Denying parts of yourself can even make them grow stronger. You need to find out what these parts are and heal them. When I was 30 I went into therapy. I knew I had ‘issues’ but I did not know what to do with them. I was trying so hard to feel better yet there were many occasions where seemingly innocuous situations, such as my partner’s family coming to stay at our house or unexpected phone calls or visitors would trigger waves of unhappiness, alienation and in turn despair. I had suffered with indigenous depression on and off since my teens and while my childhood had been very neglectful, I had grown into someone who had all the trappings of an enviable and respectable life. My childhood though, caused me to suffer deep wounds, which I had not dealt with and had resulted in powerful shadow aspects, which were crippling me emotionally. So, I began to get intimate with my shadow and shone light on it; I transmuted it. Every time my stick house fell down, I steadily rebuilt it with new sticks. This was an ongoing process of ego death and resurrection. It was hard work but I was getting stronger. Over time, I found that I wasn’t struggling with other people’s energy or having to employ coping strategies to neutralise the effects of my EHSP abilities. We are like magnets and we attract to ourselves what is present within ourselves. We also see in the world what is present within us. Think of someone you dislike intensely and write a list of all the things you hate about them. Now write your name at the top – welcome to your shadow! As an EHSP, the more untransmuted shadow you have, the more negativity you will absorb from others. There is no magical solution to the negative effects of being an EHSP. It requires hard work, done on yourself. You can no longer be a victim and blame the fact that you are an EHSP for your discomfort. You must take responsibility for your own experience by resolving to transmute the shadow within you so that you will no longer attract the shadow from others. Thus, you move into the final stage. • now see your EHSP abilities as a gift, rather than a curse. As I said at the beginning of this article, there are likely to be many more to follow but I hope this will serve as food for thought for you on where you are and how you are going to progress. Please contact me for a consultation or counselling should you wish to seek my help on an individual basis.